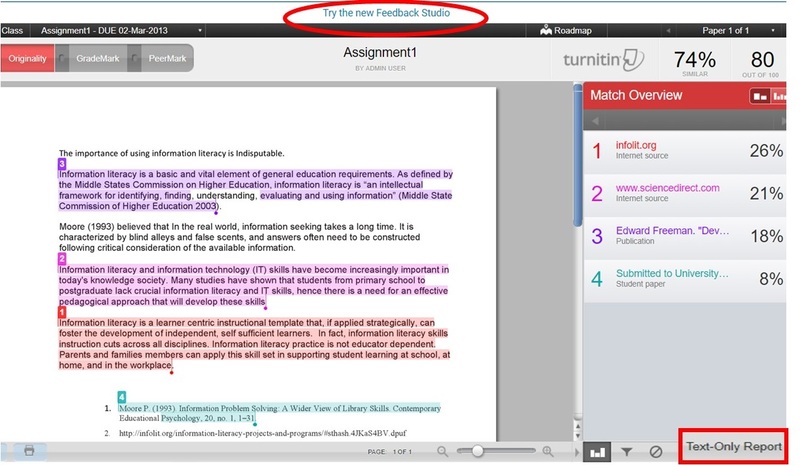 If you were on the Feedback Studio mode and would like to return to Turnitin Classic (Document Viewer) or Text Only mode, click on Return to Turnitin Classic or Text Only Report at the bottom fo the page. 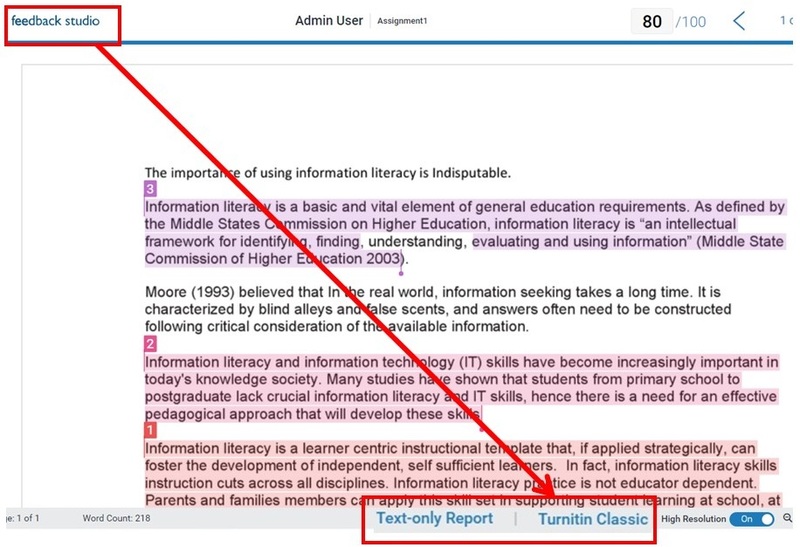 This will reload either Turnitin Classic (Document Viewer) or Text Only mode. If you' were at the Document Viewer and would like to switch to Feedback Studio, navigate to the top of the document and click Try the new Feedback Studio. This will reload the Feedback Studio view. If you' were at the Document Viewer and would like to go to the Text Only mode, click on "Text-Only Report" button at the bottom right side. This will reload the Text Only view. If you' were at the Text Only and would like to go to the Document Viewer mode, click on "Document Viewer" button at the top-left side. This will reload the Document Viewer.